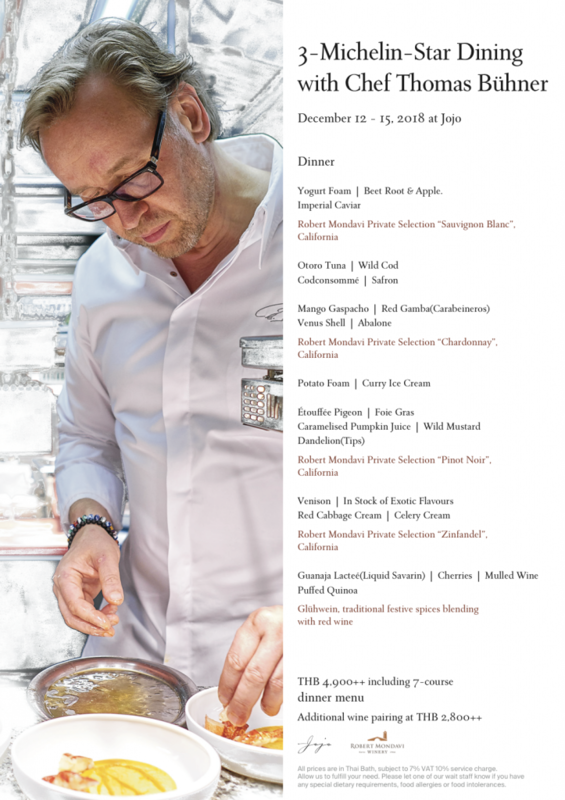 For Chef Thomas Bühner’s lunch & dinner menus, please scroll down. With 3 Michelin Stars and international acclaim, German Chef Thomas Bühner, previously of La Vie, Osnabrück, Germany, shares his unique culinary perspective at Jojo and VIU, at The St. Regis Bangkok, from 12th to 16th December 2018, for a series of lunches, dinners and Sunday brunch. The St. Regis Bangkok’s series of invited Michelin-Star guest chefs continues with one of Germany’s top-rated chefs, Thomas Bühner, from Wednesday 12th to Sunday 16th December 2018. For four consecutive days, the acclaimed 3-Michelin-Star Chef Thomas Bühner will be taking over the kitchen at the ground-floor Jojo Restaurant, for lunch and dinner, before presenting Sunday brunch at VIU, in The St. Regis Bangkok. 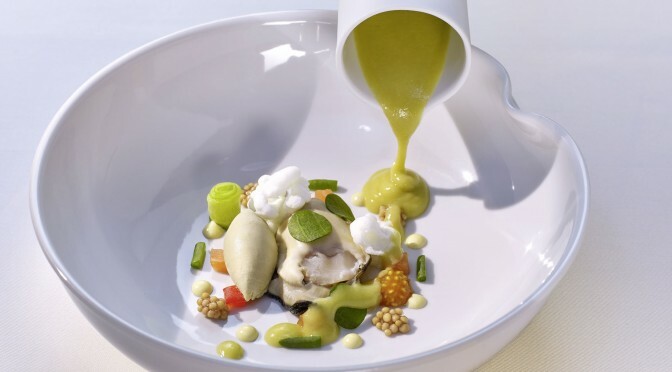 With limited seating, Chef Thomas, previously of the famous La Vie restaurant, in Osnabrück, North-West Germany, will delight guests with his culinary art showcase, in a four-course set lunch and a seven-course set dinner at Jojo. 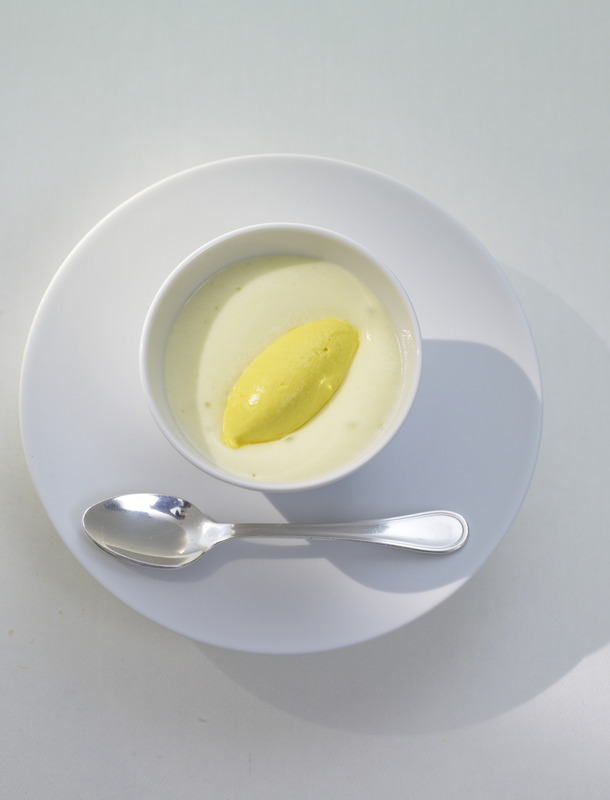 From 12th to 15th December, lunch service begins at 12:00pm, while dinner service commences at 6:00pm. The exclusive Sunday brunch by Chef Thomas, on 16th December, will be presented from 12:30pm to 3:30pm at the 12-floor VIU Restaurant. In the first dimension, Chef Thomas believes there is no flavor more intense or authentic than the pure flavor of each individual ingredient. This is highlighted in his plates as his ‘taste bomb’, such as his venison dish, where the jus is developed using the unadulterated juices of the meat, boiled down and vacuum-evaporated for its essence. Regarding the preparation, in the second dimension, chef has a penchant for slow and low-temp cooking, such as braising or sous-vide methods, rather than pan-searing, such as for fish fillets. He feels the relaxed approach in the kitchen allows for brilliance on each plate and brings out different aromas in the food. His third dimension ensures his menu experience is like the composition of a finished symphony, rather than disparate courses playing contrasting tunes. Different elements are allowed to take the lead, but every element inspires and resounds as a whole. 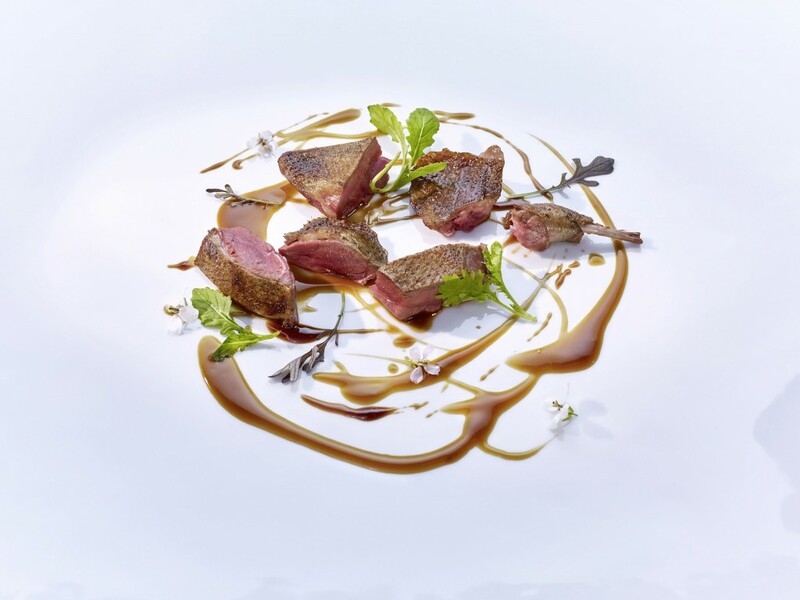 Chef Thomas playfully arranges his plates to evoke emotions and create a dramatic sensuous experience. His resulting vibrant plated works of art stimulate the senses, with stunning beauty, mouthwatering scent and mind-blowing taste. To whet the appetite, for The St. Regis Bangkok dinner guests at Jojo, he begins with yoghurt foam, beetroot and apple, complimented by imperial caviar. Otoro tuna is then paired with wild cod, consommé and saffron. 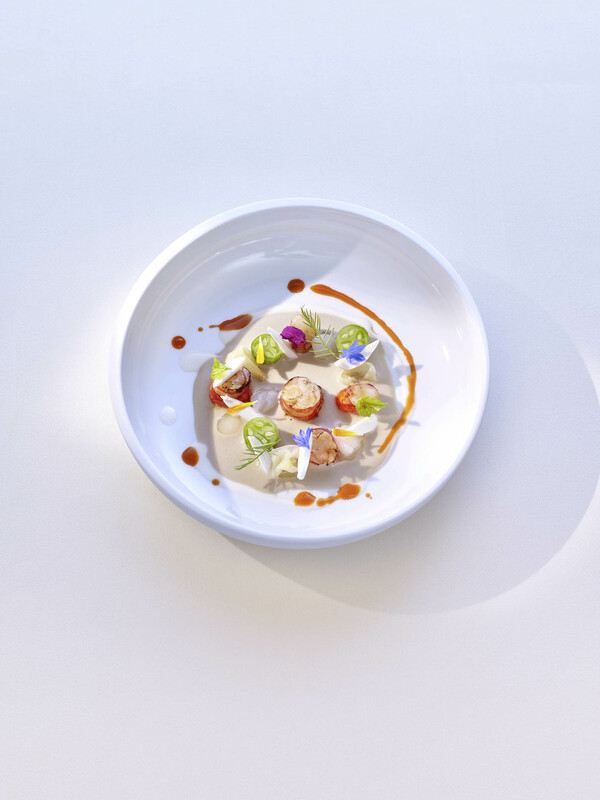 Next up, a mango gazpacho is topped with deep-sea cardinal prawns and venus shell abalone. 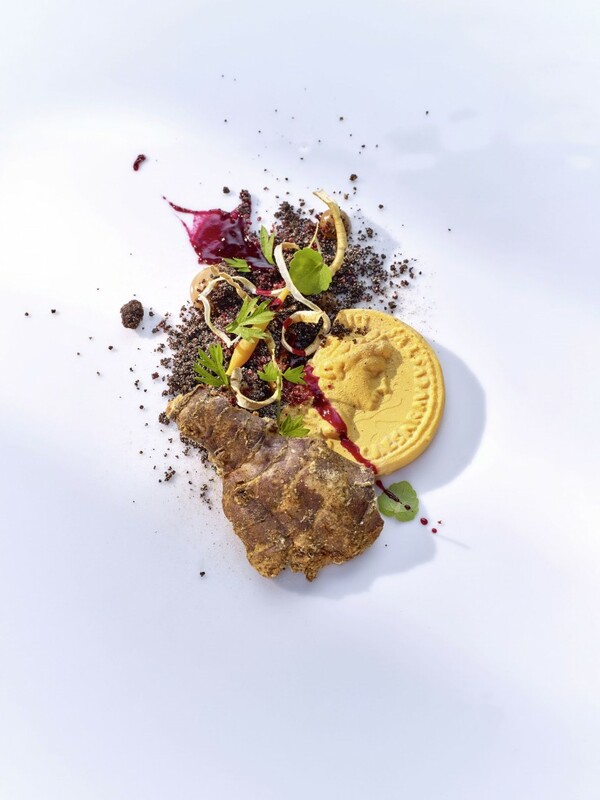 A potato foam is served with savory curry ice cream, followed by étouffée pigeon and foie gras, which is married with the flavors of caramelized pumpkin juice, wild mustard and dandelion tips. 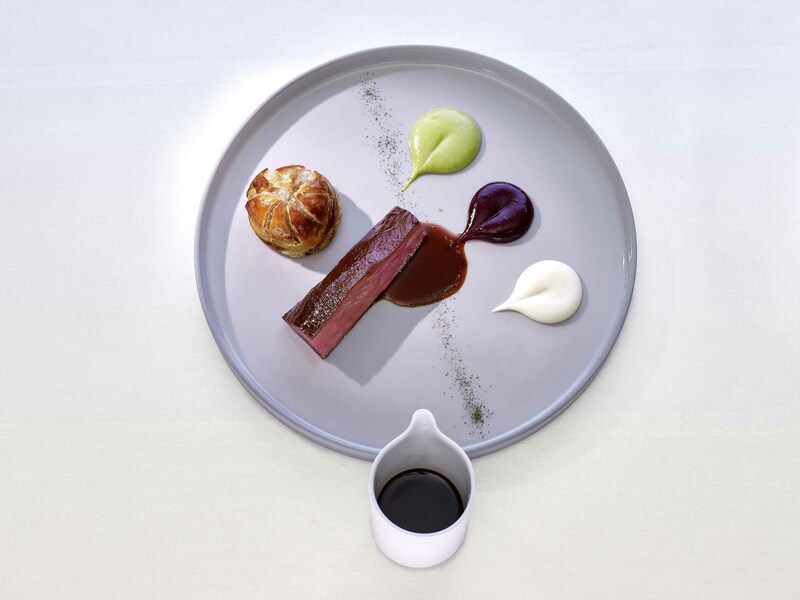 In a rich exotic stock, tender venison is matched with red cabbage cream and a celery cream. To end on a sweet chocolate note, a liquid savarin of guanja lactée is served with cherries, mulled wine and puffed quinoa. 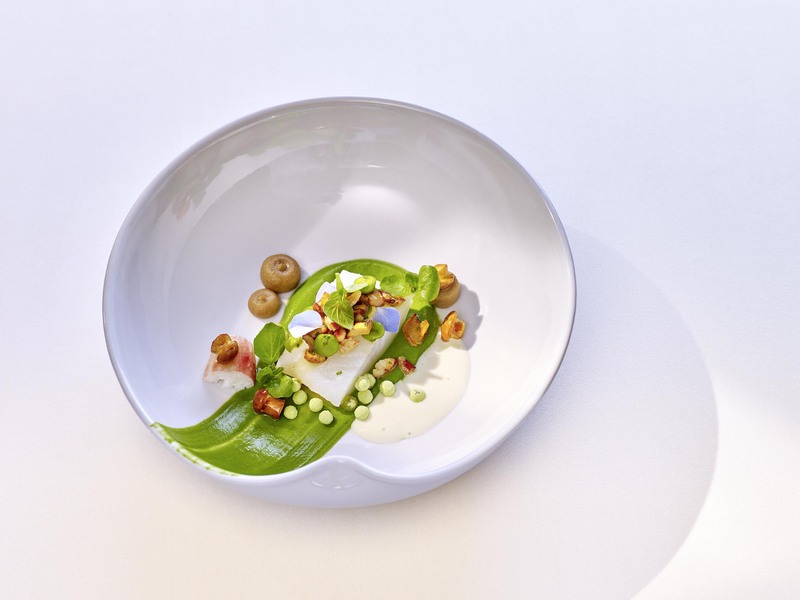 Rated one of Germany’s top chefs for over two decades, Chef Thomas Bühner, born in Riesenbeck, Germany, encountered convivial restaurant life at his grandparents’ establishment, from an early age. 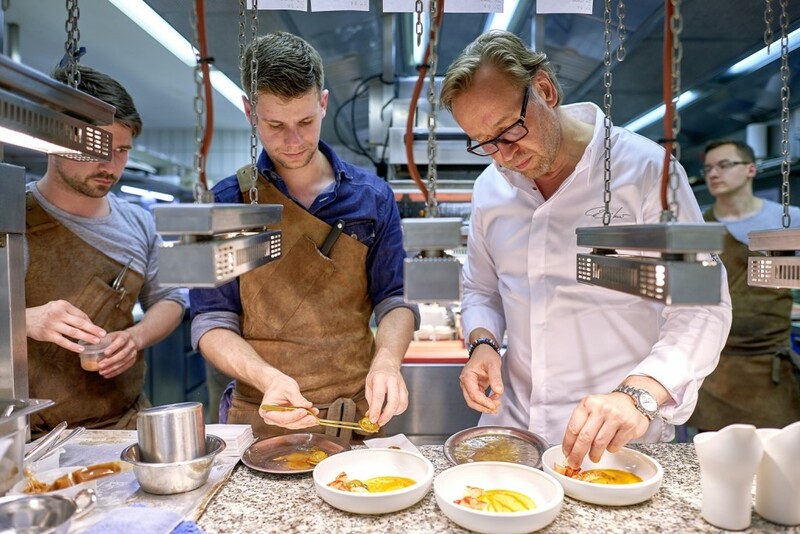 Later, he trained at Schweizer Haus in Paderborn, and then with Gunter Scherrer at various venues, including the Hilton, in Dusseldorf, at Landhaus Scherrer in Hamburg, and at Restaurant Grand Cru in Lippstadt, as well as working at Restaurant Jorg Muller, in Westerland, on Sylt. One of the defining stages in his career came in 1989, when Buhner became Harald Wohlfahrt’s Chef de Partie, at the Schwarzwaldstube, in Baiersbronn. Bühner was fascinated with Wohlfahrt’s discipline and consistency, both indispensable assets in his profession. Above all, he also admired, Wohlfahrt’s accessibility and benevolence towards his employees. 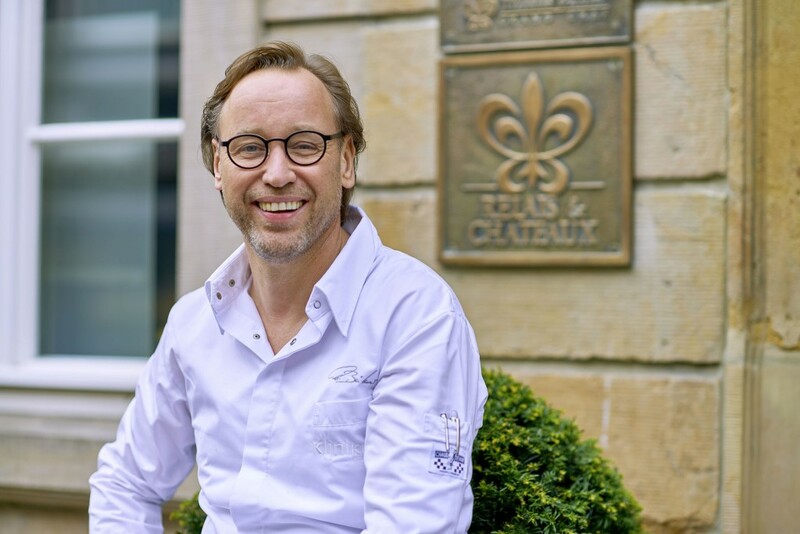 In 1991, Thomas took over as Head Chef at the La Table restaurant in Dortmund, and five years later, achieved his first Michelin Star, followed by a second in 1998. มื้อกลางวัน และมื้อค่ำ พร้อมบริการไวน์รสเลิศ ณ ห้องอาหารโจโจ ตั้งแต่วันที่ 12 ถึง 15 ธันวาคม 2561 มื้อกลางเวลา 12:00 น. และมื้อค่ำเวลา 18.00 น.